Why wait to plot your next getaway? Book your vacation today! Historically, the most beautiful spots on the tropical barrier islands off Tampa Bay between Clearwater and St Pete. Carter Vacation Rental properties are located on the thinnest parts of the Barrier Island, guaranteeing the best waterfront views. We offer: Beachview Cottages, Bungalows, Villas, Beachfront Studios, complete 1, 2 and 3 bedroom Gulf apartments, Private Beach homes, Gulf Condos and Bayfront suites. Carter Coastal Vacation Rentals welcomes you to our unique collection of Florida Gulf Coast beach properties. We are very fortunate to have our properties in some of the most beautiful spots along the tropical barrier islands. 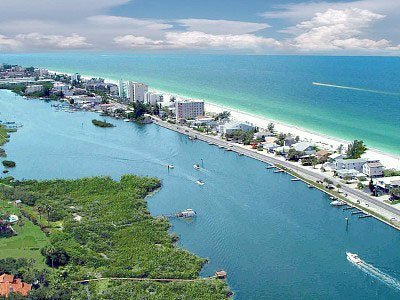 Gulf Shore beach communities such as Indian Rocks Beach, Indian Shores, Clearwater, Redington Shores and Madeira beach Florida. Ideal destinations for families and couples longing for a relaxing getaway on the gorgeous award-winning gulf beaches. Experience the character and charm of old Florida. Our properties are right on the beach or the Intracoastal Waterway with direct access to one of the top rated Sugar white sand beaches in the United States. Every quaint property in our collection is carefully maintained to preserve the original condition while adding modern-day technological amenities for the comfort and convenience of our guests. Visit for a few days or a few weeks. Come and enjoy our little slice of paradise. Relax, you're on vacation! You have found the perfect Island vacation paradise, and you are just a reservation away from feeling warm, white sand filter between your toes as the gentle surf of the Gulf of Mexico echoes in the background.